Restoration after minor damage or fracturing. To avoid the time and financial investment required for orthodontics. Porcelain veneers offer a minimally invasive and natural-looking way to enhance your smile without damaging the structure of your teeth. 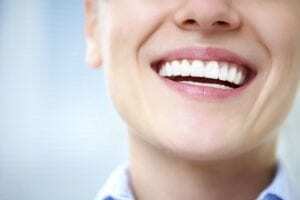 How Can Porcelain Veneers Correct My Smile? Porcelain veneers are very thin tooth-shaped surfaces that are chemically bonded to your natural teeth. The shade of your veneers is customized to match the exact color that you want for a brighter smile. Who Should Place My Porcelain Veneers? Have experience in cosmetic dentistry. Work with dental labs that only use high-quality materials. Have American Academy of Cosmetic Dentistry (AACD) and other professional memberships. Adopt a patient-centered approach to dental care. Dr. Antigone Skoulas has extensive training in both general and cosmetic dentistry, working with dental labs to create the best possible porcelain veneers for your new smile. As a past lecturer at UCLA and member of the American Dental Association, California Dental Association, and American Academy of Cosmetic Dentistry, Dr. Skoulas provides patients with gentle yet effective treatments for cosmetic and general dental procedures. Call Dr. Skoulas’ San Francisco office at (415) 757-0110 to find out more about porcelain veneers and develop a customized treatment plan.